Do you have that daily 3-4 PM sugar craving? Are you wondering why you binge on sweets at the end of the day after being so good with your diet all day? Wondering what steps you can take to get your sugar habit handled? 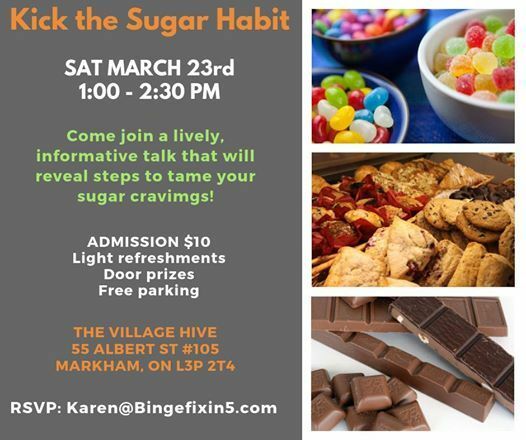 Come join me, Karen Pitt, an Eating Psychology Health Coach, on Saturday March 23rd from 1:00 - 2:30 PM at The Village Hive on 55 Albert St. Suite 105 in Markham for the Kick the Sugar Habit Workshop. ...so you can kick that sugar habit, without giving up sweetness, for good. The workshop also offers 9 simple solutions you can experiment with every day to help you break up with sugar and increase your energy. 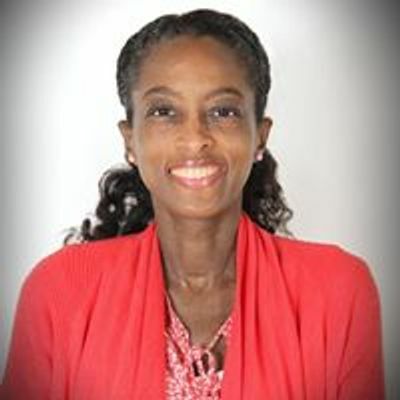 My name is Karen and I’m a Health Coach specializing in Eating Psychology, Functional Nutrition and Habit Change. One of the most rewarding things about what I do is helping people make the connection between what they do every day and how it affects their daily experience. Through diet and lifestyle they discover they have the power within themselves to change that experience to meet their goals and thrive. They also learn why food is only half the story of good nutrition while the other half is who we are as eaters. 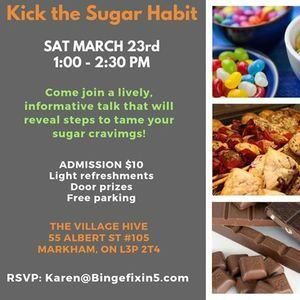 Come and join in the conversation and find out some interesting tips like what your cravings mean, how we can inadvertently create our own cravings and what to do about it to take back our health and improve our relationship with food! You'll be sure to walk away learning something new and action steps that you can use right away. Now save 5% by booking your ticket online! See the attached link below. Have questions? I've got answers!